Being the top gun in the sky isn’t easy and there’s no shortcut to success. 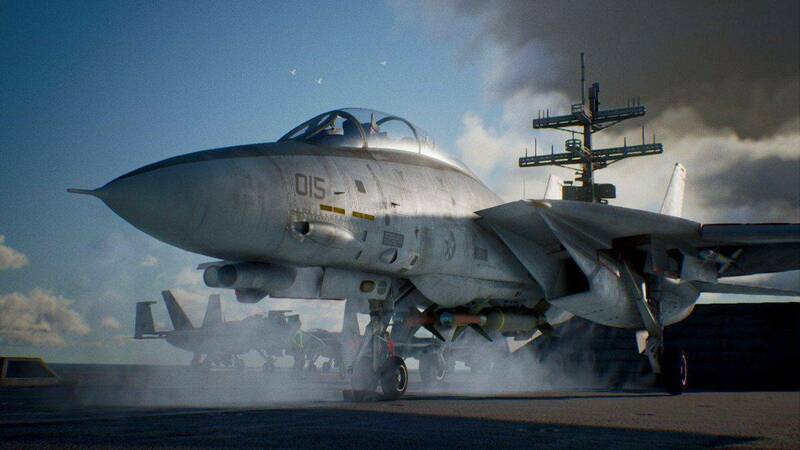 Although veterans will be familiar with the many mechanics and systems at play, newcomers will be particularly confused taking to the sky in the 7th installment of the series, Ace Combat 7: Skies Unknown. 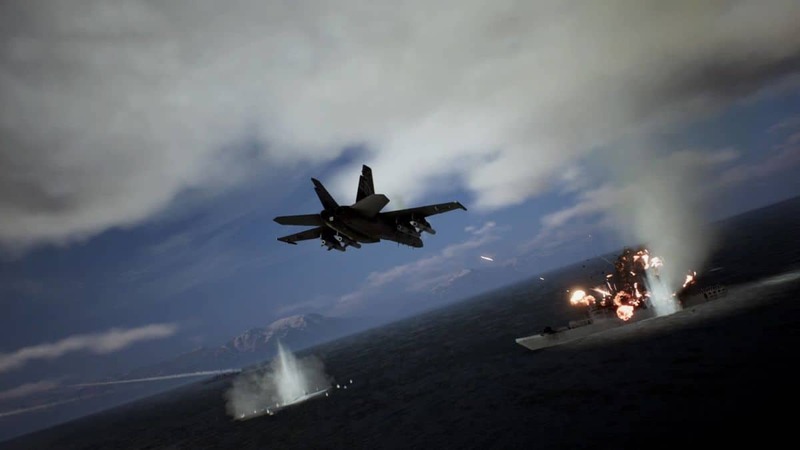 In the Story Mode, your main goal would be to, as the name suggests, engage in aerial combat against other fighter jets as you avoid missiles of the enemy planes and rain yours on them. Within such objectives, there will also be other requirements other than taking down opponents; these include time-critical tasks and criteria to go above a set amount of points. As you take fly high in the sky, for the very first time, you might not be clear about how each button functions. The left-stick controls the movement of the plane with vertical motion adjusting the pitch of the vehicle and the horizontal motion relating to the roll off the plane. With the right-stick, you can control camera angle to your liking and pressing the R3 button will put you right in the shoes of the pilot thanks to the cockpit view. The R3 + L3 buttons pressed in conjunction will release flares from the rear of the plane in order to combat against missiles and not take damage. The RT button provides the thrusting force to accelerate the vehicle while the LT button is there to apply brakes. The R1 and L1 buttons allow you to strafe right and left respectively and out of harm’s way or right behind the target for a more accurate shot at it. The attack buttons are Circle and X. The former command lets you send out missiles or other special ballistics equipped which you can alternate between by pressing Square. Pressing X has your plane firing machine gun rounds at the target. The triangle button allows you to switch between targets if there are multiple ones, and you can hold it to get a closer look at the enemy. Lastly, the touchpad brings up the radar that provides information about the navigation and shows you the effective range of firing missiles and other weapons. Not every plane model will be suited to your desired objective. That is why an understanding of the different role of plane types is essential for getting the most favorable outcome. In the ‘Aircraft Tree’ form the in-game menu, you can select and acquire the different types all highlighted with one of the three colors: blue, yellow, and pink. 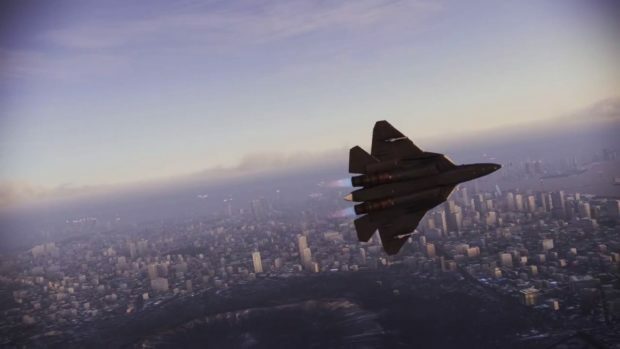 Blue planes or fighter aircraft, being the faster of the two; excel at pure aerial combat where the targets lie in their line of sight while red planes or attacker aircraft will be ideal for taking out targets on the ground from greater distances. Finally, the pink highlighted planes or multi-role aircraft are all-around good being the jack-of-all-trades, master of none. 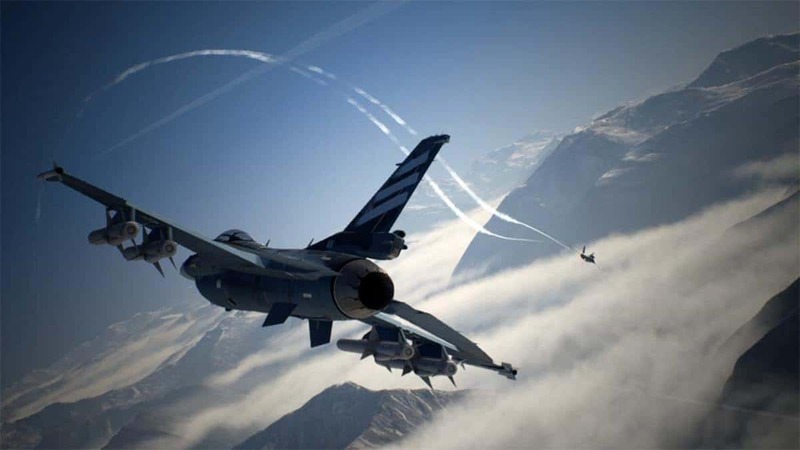 Dynamic weather conditions and changing climate always add depth to the gameplay as a whole whether it be in dogfights or simple traversal in the air. On a cloudy day, it can provide better cover opportunities to lose the sights of the enemy but stay long enough in the clouds and you won’t be able to see properly with the droplets freezing on your screen to cause you to lose control of the plane. In thunderstorms and rainy weather, the radar system and HUD elements don’t function properly and let us be frank, there’s always the chance of lightning striking your plane, huh? Anyhow, environmental conditions can work in favor of you or conversely, against you. Deciding how to utilize each opportunity depends on the nature of the objective and your decision. Now, you’re finally ready to take to the skies and face your enemies head-on or should we say nose-on (get it?). The basic and most simplistic strategy to take down enemy jets is to orient yourself or wait for them to do so until one’s tail faces the nose of the other. Ideally, you’ll want to be directly behind the enemy and have a clear sight at it, to release the missiles in a straight-line to destroy the aircraft. The missiles have homing abilities to a certain extent. Your focus should always alternate between the plane itself and the radar at the bottom left of the screen. The direction of the arrows relating to the enemy aircraft corresponds to the direction in which they’re facing. When you lock onto an enemy by aiming your reticle, the indicator around them turns red. This is when missiles will hit accurately. Move a little closer, and you’ll also be able to line up your reticle for firing your machine gun. Never chase an aircraft, especially if it’s a drone since it takes a lot of time and you cannot always find the right shot. In time-sensitive missions, this can run to your disadvantage. Therefore, always wait for your opponent to get in line with your nose so hold your position until the enemy aircraft maneuvers in such a way. You can also employ the use of ‘High G-turns’ which allow you to turn sharp corners in the air and maneuver your plane to a desired position quickly by holding the right and left triggers simultaneously and then using the left stick for choosing the direction. Make sure not to hold the buttons too long, as your speed decreases drastically the longer you hold the triggers down as a stationary plane is always an easier target than a moving one. A victory doesn’t dictate continuous success, nor does a loss of constant failure. For this purpose, you should always make visits to the ‘Select Parts’ tab in the in-game menu as there is always room for improvement. These enhancements are broken into three general categories: body, arms and misc. The former focuses on the alterations of the structure of the plane itself for increased stats, arms have to do with weapons and ballistics while misc. will include upgrades lying outside of the other two categories. It’s favorable to equip special weapons to boost damage potential and have an upper hand in dogfights. Alternatively, you can invest to enhance the already existing missiles, as they are powerful and effective in their own right. 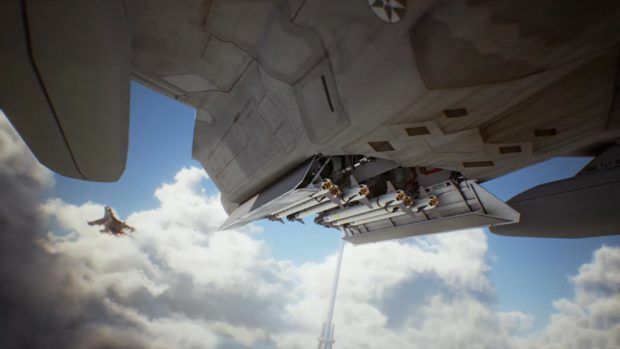 Other changes can be made so the speed, maneuverability, and defenses of the aircraft can be given a boost. Lastly, other upgrades will allow missiles to have a more enhanced homing capability. That’s it, folks, let set our feet in the pilot’s seat, take off and embrace the many aerial battles that await us.